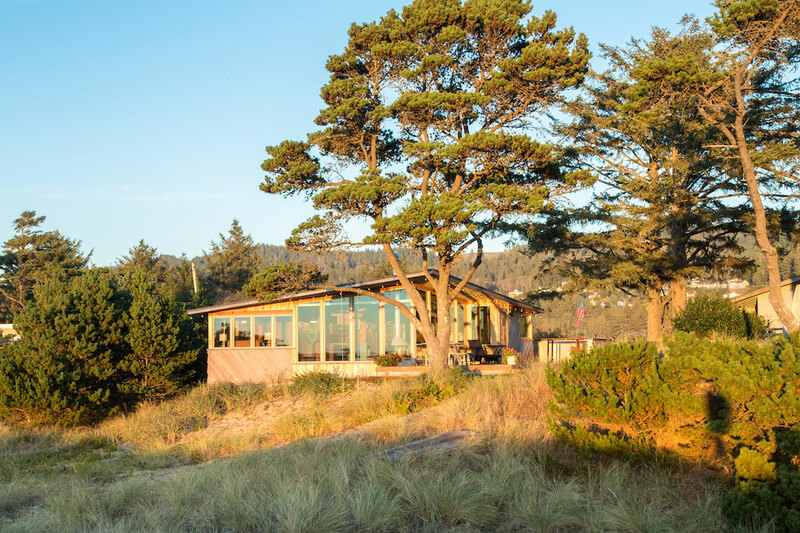 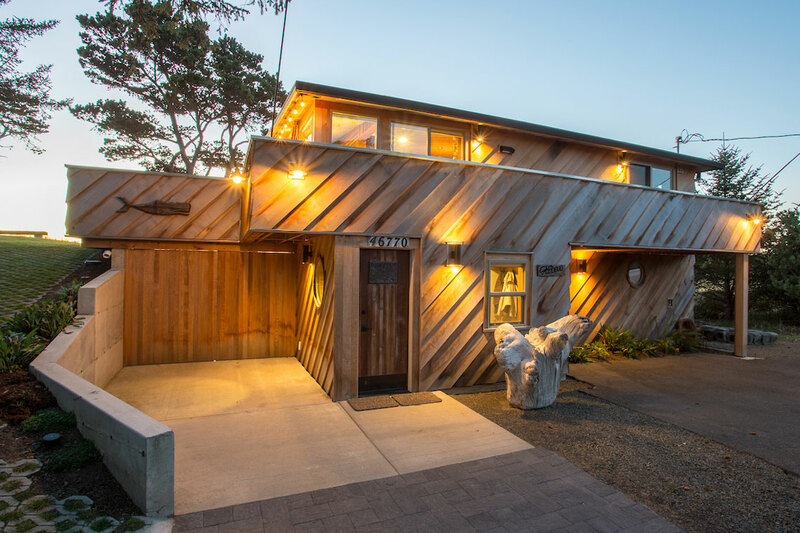 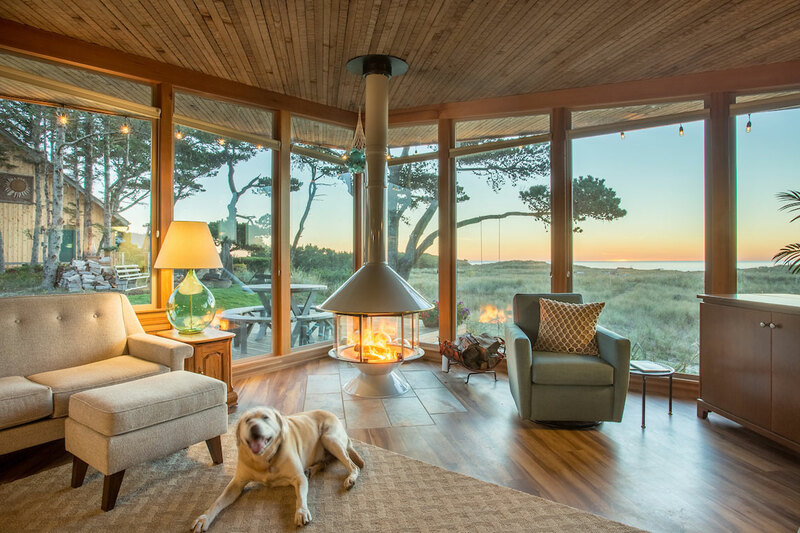 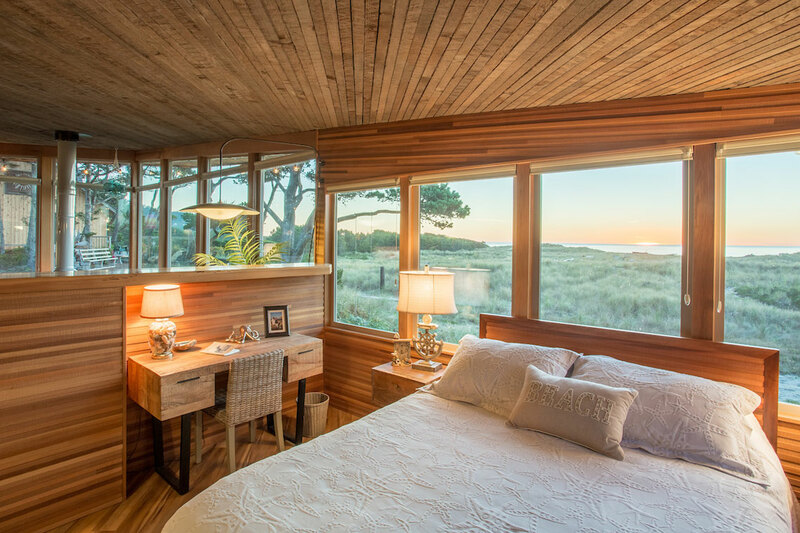 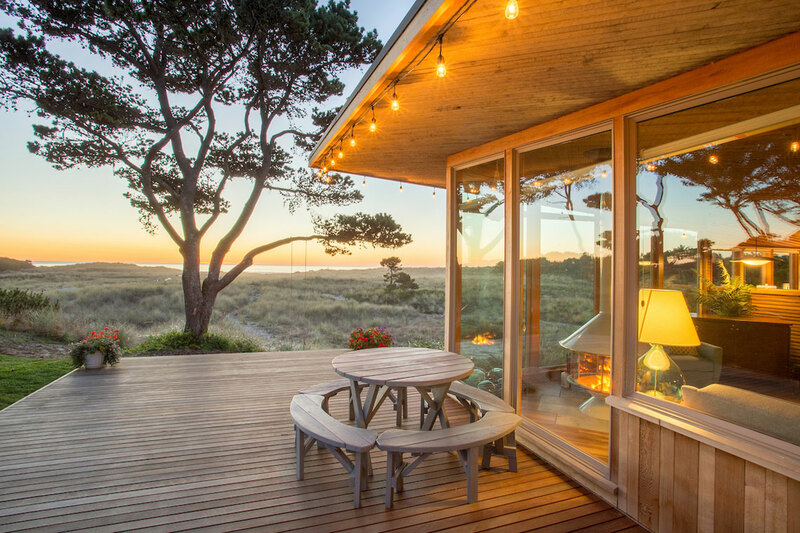 This Van Evera Bailey designed beach house was built in the early 1950's for the architect himself and is an exquisite example from that era of Northwest mid-century modernism. 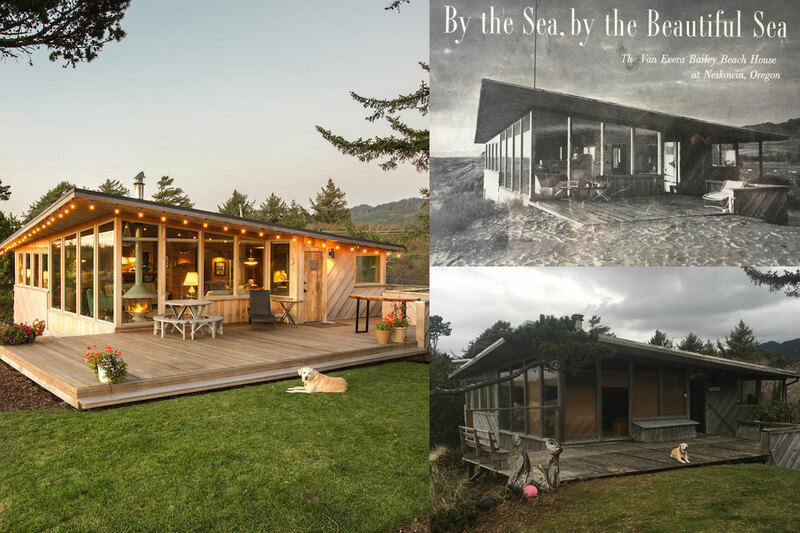 The owner's parents had purchased the home from Van Bailey and it had remained untouched as a beloved summer retreat for the family until a winter storm created major water damage and forced a much-needed whole home remodel. 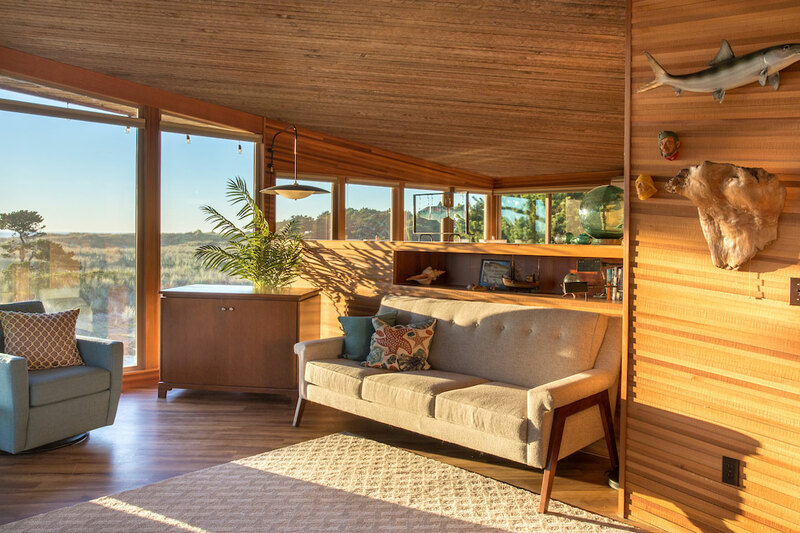 The goals for the project were to preserve the integrity of the salvageable envelope and all the expressive woodwork and unique Van Bailey features, such as the laminated rough sawn fir ceiling, but also increase the viable living space and provide all the necessary general updates.